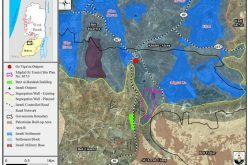 The Israeli planning and organization department affiliated to the so-called 'civil administration in Judea and Samaria' announced three detailed planning schemes for three Palestinian villages located to the east of Yata town, Hebron governorate. These villages are: Zif ( 3000 inhabitants), Al Buweib ( 2500 inhabitants) and Ad Dirat (1500 inhabitants)- Source: Palestinian Central Bureau of Statistics (PCBS). The three villages are located on bypass road number 356. 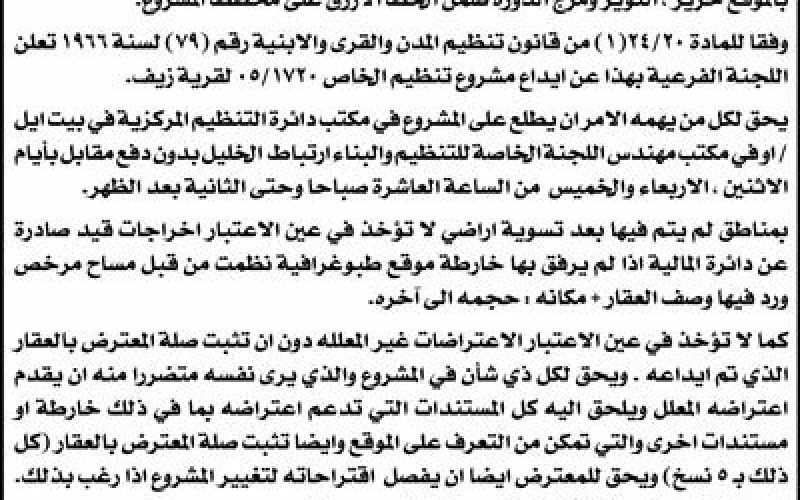 The scheme announcements were published in Al Quds Newspaper on November 15, 2006, pages 20 and 31. 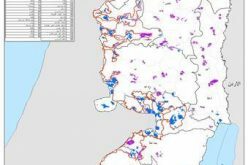 In an interview with layer Musa Makhamrah, the head of the Land Defense Committees, he conformed to LRC field worker that the Israeli published schemes do not fulfill the present and future needs of the target villages in terms of natural demographic growth and expansion. 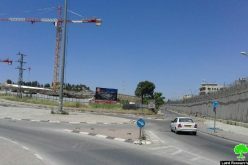 On the contrary, these schemes will cripple any expansions in the existing built up areas and confine their residents to certain areas after besieging them with Israeli settlements and bypass roads. 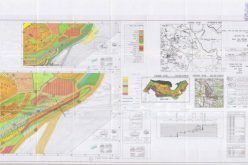 The announcement of the three planning schemes coincided with the disclosure of yet another detailed plan to move the current bypass road number 356 to the east of the three villages which will lead to further suffocation and besiege of the three villages, as well as confiscating more of their land and natural resources. 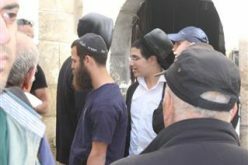 The Israeli announcement gave a two month ultimatum for 'legal' objection starting from the date of publishing in the local newspaper. In this regards, affected land owners and village councils are preparing all the related land ownership documents and papers to present to the Israeli civil administration's legal advisor at Beit Eil. Not much hope is expected by the affected persons as previous experiences proved useless. Since October 2000, the Israeli occupation army (IOA) has progressively sealed off south and east Hebron, managing to disconnect resident Palestinians from urban areas further north through a combination of physical obstacles (road blocks, earth mounds and checkpoints) and the imposition of movement restrictions along roads 317, 60, 325 and 356 to Palestinian travel. Today, most exits to Palestinian villages along these roads are blocked. 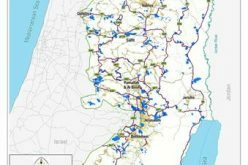 Roads 317, 60, 325 and 356 break up the transportation contiguity between Palestinian controlled areas (Ã¢? ?area AÃ¢? ?, under Oslo), force Palestinians onto internal secondary roads) and fragment the territorial contiguity of the Governorate. 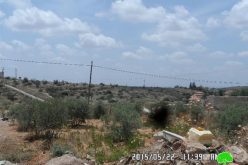 The result is particularly dramatic in south Hebron where communities do not have the option of moving on internal secondary roads and have to cross bypass roads to access services and markets, breaching the security regime imposed by the IOA. In December, 2005, the Israeli occupation army (IOA) released three military orders to requisite a corridor of land alongside roads 317, 60 and 325 and which run from the settlements of Karmel to that of Tene ( see the attached map). The new security measure would involve the construction of a continuous barrier of concrete running along the northern side of the bypass roads (317, 60 and 325). Already built within three to four meters of the edge of the road, the barrier is 80cm to 1m high to prevent vehicles from crossing onto the main road. The route of the Ã¢? ?road barrierÃ¢?? 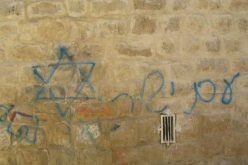 roughly follows the same direction of the 2003 plan for the Wall but it also represents the last in the long list of closures cumulatively applied to roads 317, 60 and 325 to prevent access of Palestinians. The new security measure will entrench further the disconnection already evident on the ground, possibly leading to complete isolation and the likelihood of displacement and loss of land. According to LRC estimates, the new Ã¢? ?road barrierÃ¢?? will directly affect access to nearly 80,000 dunums (7.5 % of the total area of the Governorate) mostly of agricultural and grazing land: 22 communities including Ar Ramadmin and Arab Al Fureijat in the most south western corner of the West Bank, and over 8000 Palestinians will be enclosed between the road barrier and the Wall being constructed along the Green Line. The numbers grow during the spring and summer, when seasonal migration increases population figures by one third.